With an MBA at UWA Business School, Ragen Haythorpe is bringing business management skills to the world of Australian art. The global art market is booming, with 2014's sales reaching a record £37 billion, according to the European Fine Art Foundation. 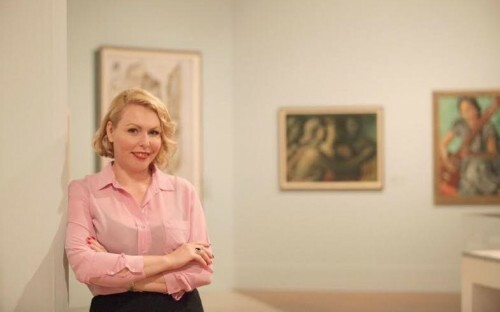 As executive officer of the Art Gallery of Western Australia, Ragen's mission is to increase public engagement in the arts world by coordinating public programs including student workshops, behind the scenes gallery tours, and ArtBar, a late night entertainment series featuring performances from musicians. Alongside her day-to-day work, the arts aficionado sits on the executive committee for the Australian Institute of International Affairs, a non-profit think-tank seeking to promote a nationwide interest in and understanding of international affairs. In a career spanning several diverse industries, the ambitious Australian worked as a financial advisor and managed a health and beauty day spa. Keen to combine her passion for arts with the management skills necessary to fast-track her career in the industry, Ragen decided to pursue a flexible, part-time MBA alongside her work. I definitely see myself staying in a creative field. We spend so much time at work, you should do something you love. I have a real affinity for arts and I love to be surrounded by creativity. I’m interested in the economics of art as investment. In the future I would love to be involved in building a fine art collection. Investment in fine art pays immediate dividends in the form of enjoyment and social capital, but it can also deliver financial returns in the long run. What advice do you have for arts professionals keen to pursue a career in business? Before taking the MBA it wasn’t immediately obvious to me how my arts background was relevant to the business world. It turns out to have laid a great foundation for big-picture, critical and creative thinking, and exercising a strategic vision. What does your current role at the state art gallery of Western Australia involve? I facilitate the acquisition of artworks for the state art collection and coordinate an annual program of exhibitions and programs to engage people with arts. We have a very comprehensive collection of around 17,500 works of historical and contemporary painting and sculpture. We represent all artistic regions and trends, and have a strong representation of Aboriginal and Torres Strait Islander Art. Why is it important to engage people with arts? In Australia, cultural industries generate around $50 billion in economic activity per annum, and there are clear links between engagement with the arts and positive increase in life satisfaction. With societal welfare metrics increasingly being adopted alongside purely economic measures, the value of the arts and culture industry is being recognized more and more. Why did you decide to pursue an MBA at UWA? I wanted to fast track my progress and UWA offers a world-class program. If I do decide to relocate, I know that my qualifications will be recognized abroad. Perth offers a great style of life. It shares a time zone with 60% of the world’s population and its proximity to the rapidly growing Asian economies means that it’s well positioned for future opportunities. How have you found continuing to work alongside your MBA? It’s really worked well for me. I find I can apply theories directly in the workplace, try things out and get immediate feedback about what works and how best to deliver ideas and influence change. It’s enabled me not only to identify my strengths, but to leverage them. It’s given me the mental courage and clarity to back myself, to present my ideas confidently, and to take more informed risks. The general management principles I’ve learnt help me in coordinating teams across the various functional areas of the gallery, to collect better audience and organizational performance data, and to respond to those insights more effectively. My financial literacy and commercial acumen help me bridge the gaps between creatives and external stakeholders like corporates and government.